Die-cutting is a great way to make your printed materials stand-out from the crowd. This technique involves using a metal die to cut irregular shapes into your printed materials. Die-cuts can be used to punch interesting shapes into your print, or to form an interesting outline around your entire item. We can create a die in any shape you wish, meaning the only limit is your imagination! Embossing and debossing can be really effective techniques to make your printed materials come to life in three dimensions. The technique essentially involves a metal plate being pressed into the paper or card and leaving an impression. Embossing leaves a raised impression on the stock, and debossing leaves an indentation. This effect can greatly enhance the tactile nature of the printed materials. Foils can add a tremendous touch of luxury to your print. This technique involves applying a foil layer, often in metallic gold or silver, to printed materials through a heating process. A huge range of coloured foils, holographic foils and security foils are available. Looking beyond traditional gold and silver, we are able to use metallic foils in blue, pink, and dozens of colours in between! This is a great way to add a bit of bling; it’s a touch of quality that speaks volumes about the company being represented. Similar in some ways to foils, metallic inks can be a highly effective way of adding detail and interest to a design piece. Metallic inks are available in a range of colours, and add a reflective sheen that can be used to highlight all or part of a design. Varnishing printed materials involves a liquid coating being applied to a printed surface, leaving a high gloss, sheen look. There are a range of varnish finishes available, but the most popular effect is Spot UV. Spot UV is a liquid varnish that is applied to a specific area and dried by ultraviolet light. This highly effective technique draws the eye to the design element being varnished and adds great visual impact. At Ashley House we believe that print is so much more than just ink on paper; it’s about the emotional impact of a beautiful, tactile object that moves people to action. 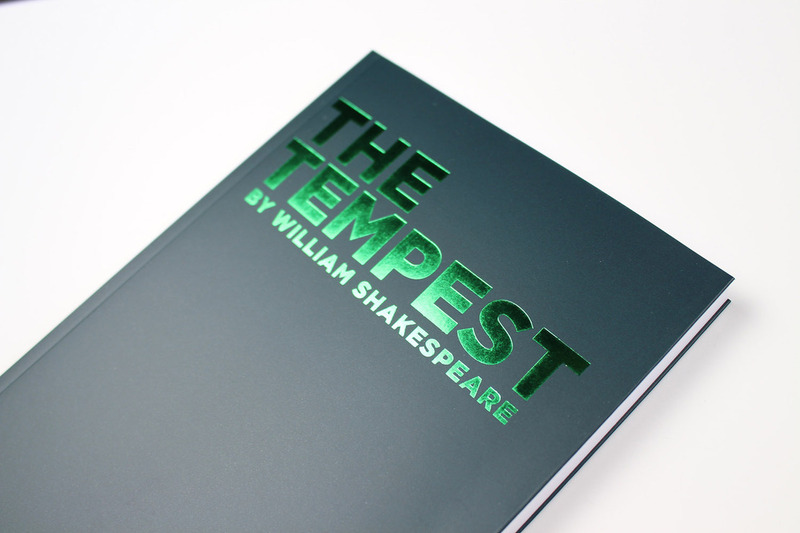 We can employ a wide range of bindings to create stunning books and brochures. Binding options include wire binding of various types, stitching, and, of course, glue-based binding. Whichever technique you opt for, the results can be fantastic. While the vast majority of the print we produce is on standard white paper stocks, we are also able to produce highly original and distinctive items by printing on other materials. For example, in our large format department, we can print onto a vast range of items from plastics to fabrics and vinyl. As well as interesting design schemes for public places and exhibition stands, the large format team can produce stunning bespoke wallpapers and table cloths. White ink is a really exciting new technique, made possible by our state-of-the-art digital printing press. Essentially, rather than applying dark ink to light paper, white ink is applied to dark paper stocks. This simple reversal of the norm is a great way to get attention, and can lead to some fascinating design ideas involving layer masks and transparency effects. The white ink can also form a background for other colours to be overprinted, producing novel and interesting effects.